Calling to all residents from Blks 50 - 54 Chai Chee Street! 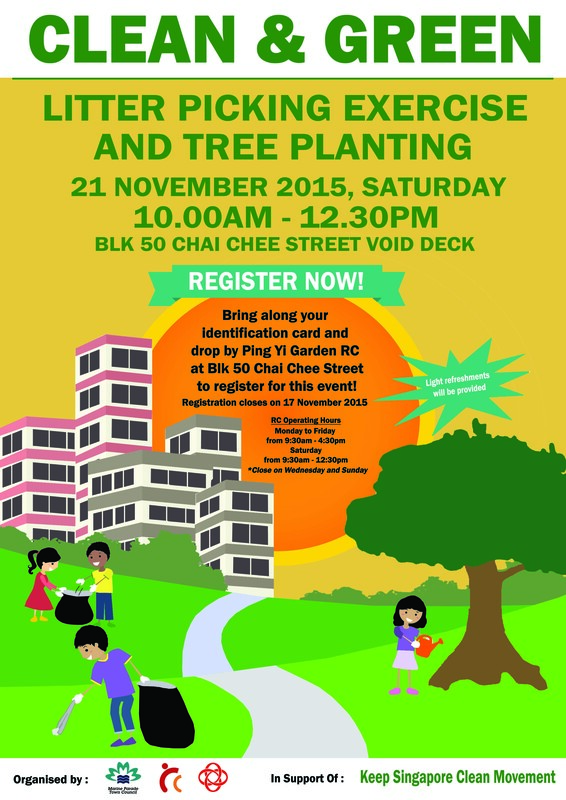 Join us for our Clean & Green Litter Picking Exercise and Tree Planting at Blk 50 Chai Chee Street on 21 November 2015 (Saturday), from 10.00am to 12.30pm. Together, let's keep our neighbourhood clean and green! For more details, please refer to the poster!